Whether you play an instrument, sing, or simply listens to music, it is always lovely and enjoyable wherever you are at. If you are someone who is passionate about music and wish to share your love for music with everyone, SBL Singapore can lend you a hand. Be it opening your very own music school in Singapore or expanding your current music school business, SBL Singapore will be able to provide you with the necessary funds and useful business advice to do so. 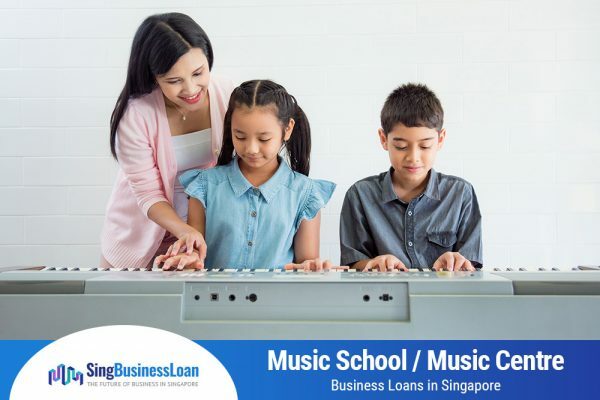 Since the opening of our financial institution, SBL Singapore has helped music school owners grow their business. One of the music schools that we helped was Mel’s Music School, which is owned by Ms Melissa Lim. Melissa graduated with an overseas degree in Music and Piano Performance and after returning to Singapore, set up her own music school at Toa Payoh. She loves music and as business grew, she had to hire more music teachers to provide a greater range of music education as well as purchase more instruments for her students. Needing a huge amount of funds, Melissa decided to seek help from SBL Singapore for the purchase. With SBL Singapore’s help, she managed to purchase 4 new pianos and hire 10 new teachers for her school. Today, Mel’s Music School is doing well with plans of expanding to other areas of Singapore. Launched in February 2018, SBL Singapore aims to provide financial assistance to all companies including those in the Music School / Music Centre Business industries. We also gather mentors in the music education sector through our Coach-and-Go programme for our clients to attain more information and knowledge on business management. Our objective is to help local Singapore brands grow and enter the overseas market. With a Music School / Music Centre Business Loan, you pay for an inexpensive and reasonable rate of interest on monthly repayments, ensuring that you have enough capital to remain competitive and grow your business. In addition to funding, you will also obtain the mentor-ship and operation assistance that you require.